October 17, 2018 – Today’s post is from Sarah Sparboe Thornburg. If you don’t yet have a will or an estate plan in place, this may be because you think you are too young; or you have no children and think planning doesn’t matter; or you have decided you are not wealthy enough to bother. You may have decided “my family will figure it out,” and have done nothing more. Maybe you are right. You want the state of North Carolina’s statutes to decide who will inherit everything you own. You don’t want the personal representative of your estate to have any guidance from you as to your wishes, and are okay if family members fight over who will administer your estate. If you are married and have children, this would mean that your spouse and your children will inherit from your estate—everything will not go directly to your spouse. You don’t value privacy and are okay with all of your financial holdings becoming public record after your death. You own nothing. No car, no bank account, nothing. You trust your children to figure it out. You are not worried about children with disabilities, greedy sons/daughters-in-law, or children with financial troubles. You wish for it to be as difficult as possible, and you want all of your children to have to come home, and spend quality time together cleaning out your closets and arguing over who gets what. You have young children, and you and your spouse agree that any member of your family or your spouse’s family would be an excellent Guardian to raise your children; whoever requests guardianship of your minor children would be totally fine. You don’t want any input into who should be Guardian for your minor children. Most people don’t wish to impose additional burdens on their families. They don’t want it to be harder than necessary. Working with an estate planning attorney to plan for your death (a death in the far, distant future) will help you think through who should inherit your property; what types of property each beneficiary should inherit, and how each beneficiary will inherit. 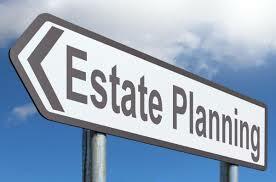 Estate planning allows you to plan for assets to be transferred easily, efficiently and quickly at your death. Estate planning gives you peace of mind. Estate planning can even help avoid probate, which means limiting or eliminating the need for a Will altogether — but this is way vastly different than simply not having a Will.